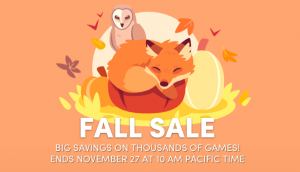 The Humble Store Fall Sale is on! Save big on popular titles (including discounts on Fallout 76!). Visit the Humble Store for to view the full catalog of deals! The sale ends November 27th at 10:00am US/Pacific time. What games are you looking to get this fall?